So I've got something a little bit different for you guys today. 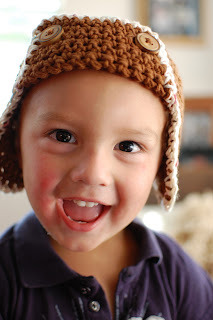 I came out with a new pattern for purchase in the Etsy, Ravelry and Craftsy stores: the Aviator Earflap Hat. You can get the pattern HERE for just 3.50$. But that's not all! I also am giving away the free instructions on how to add your own tassels to any hats you want! The instructions are also available in the purchased pattern as well as a lot more. So here's the Aviator Earflap Hat pattern for purchase. And here is the FREE instructions on how to make your very own tassles and add them to whatever hats you want! Lastly, don't forget to enter to win $50 to my Etsy this month by comenting on this post and purchasing the pattern above! For more ways to enter click HERE!! Isn't he! That's my girlfriends nephew. Haha. Oh my!! I love that hat! 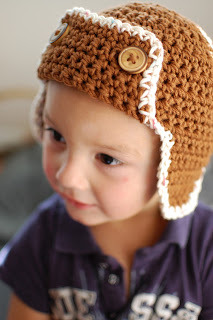 Cute hat pattern on such a cute little boy.